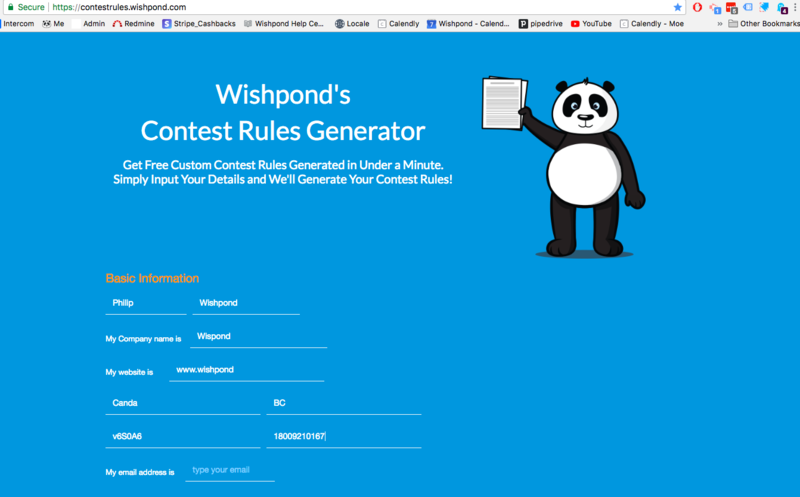 Wishpond provides custom contest rule generator, that generates basic terms and agreements that you can add to your contest pages. 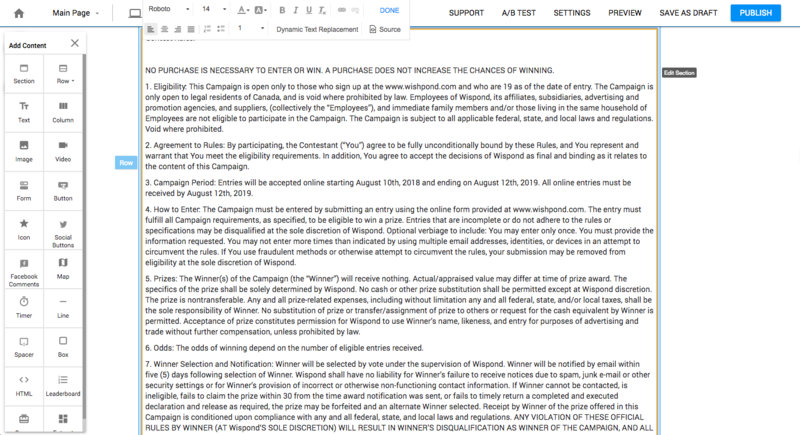 You can use the above contest rule generator to insert terms and condition to your contest, but please be aware that it is your responsibility to find anything more specific (if there are any) for your country and your province. Wishpond will not be legally liable for your contests and your terms and conditions in any circumstances. Note) If you have your own terms and conditions, you can skip step 1. Step 1: To use the rule generator, simply enter your contest information to the editor. This will generate text version of your rules. It doesn't generate the content as a link, so you would need to either copy and paste this into a Word file to export as a pdf document, or copy and paste it to your contest page. 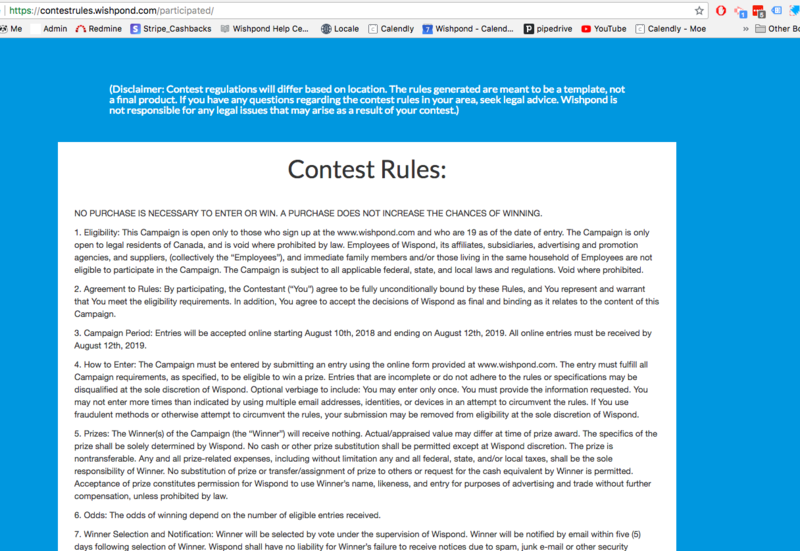 If you think these rules are too long to add on a contest page, you can create a blank landing page and use it just for the terms and condition purposes. 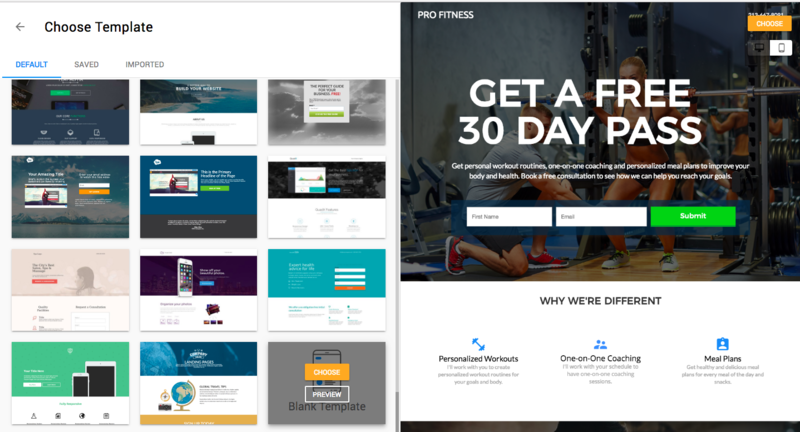 Click "view more" from the main page and select "landing page." Scroll all the way down from the template gallery and choose a blank template. Now from the page editor, locate the add content button on your left (orange plus icon), and then drag and drop text block to the top column. Then copy and paste the rules to the landing page as a text. 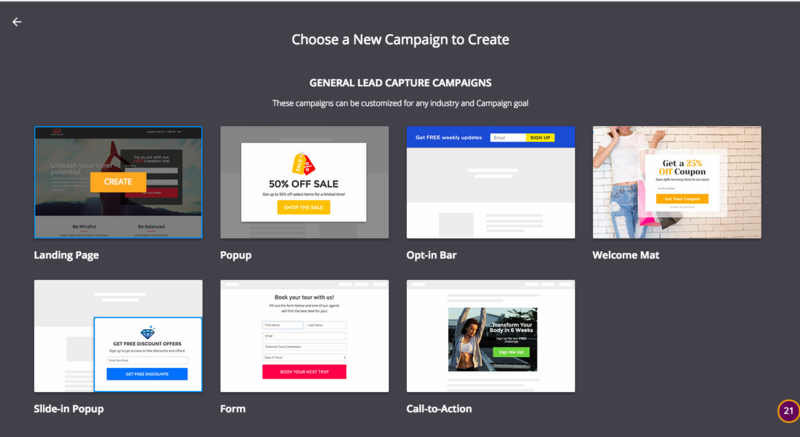 Publish the landing page, and link it back to your contest page. So that it appears something like, "click here to view your terms and conditions"